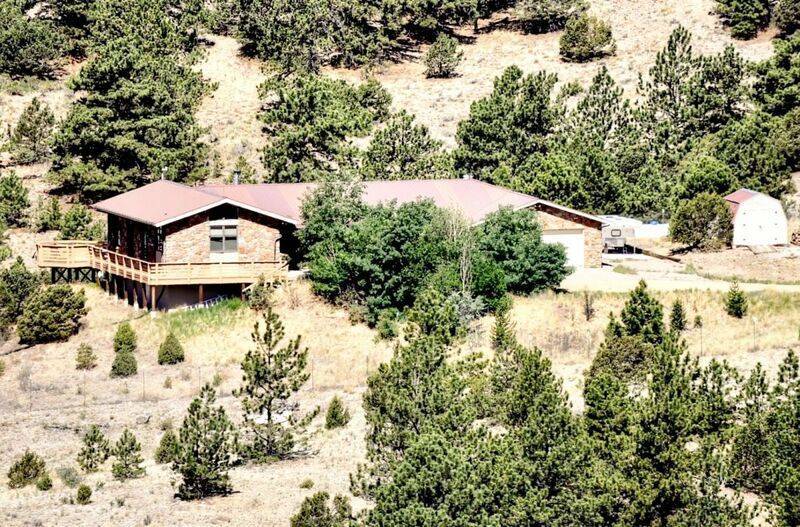 This custom home is located in the highly desirable Schulze Ranch near the base of the Sangre de Cristo Mountain Range and 266,000 acre wilderness area and has a seasonal POND! Enter into the foyer and turn into the great room with expansive floor to ceiling windows and magnificent mountain views that will take your breath away. The sun-drenched ambiance flows through the open floor plan of the living/dining/kitchen area, featuring vaulted ceilings and one floor living. The gourmet kitchen has all the bells and whistles. Wake up to gorgeous mountain views from the sumptuous master suite. The home has been meticulously updated with style and a mountain home flair. New updates include: granite countertops, stainless steel appliances, soapstone woodstove, windows, hot tub, beautiful ceramic tile flooring and carpet. A serene Aspen grove and garden enhance the front grounds.